Talent Fishers is proud to welcome @Matthew McKay as our new South Asia Managing Director. Matthew is the South Asian, Managing Director of Talent Fishers, a boutique search and selection company specialized on Asia, through operations in China, Hong Kong, Thailand, Vietnam, Singapore and India. 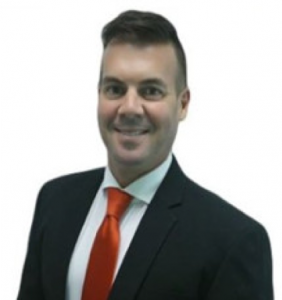 Matthew has been in SEA for 6 years deeply immersed in building strong, consultative business relationships with some of the most influential business leaders in the region, representing some of the worlds best known companies and brands, prior to joining Talent Fishers in 2018. Matthew is also very active in the Thailand business community, especially through his involvement with the Canadian, American and British Chamber of Commerce. He is also very active in community outreach programs through his volunteer work with The Mercy Center since January 2013. Prior to moving to SEA, Matthew worked for 12 years with some of the best known recruitment firms in his home country of Canada where he honed his skills for business development, account management, talent acquisition, talent placement and excellence in customer satisfaction. He was also an active member of the Vancouver Board of Trade. Matthew is very focused on improving his clients profitability by listening to their strategic goals and providing them with what they really need. This is achieved through understanding the talent supply and demand, being transparent and empathetic whilst also having an ‘open-minded’ mentality to executive search. He particularly enjoys working with business leaders who view succession planning as a critical strategy to their success and he also enjoys the challenge of working with clients who claim to have ‘hard to fill’ vacancies. Matthew is also very proud to serve with such outstanding professional men and women as part of the Talent Fishers team. Welcome Matthew as part of Talent Fishers!